Many contractors get leads “by accident”, that is, they depend solely on referrals based on their good reputations, quality work and fair pricing. There is nothing wrong with this type of lead; however, there is no control for how many and how often it brings in prospects. If a contractor is dependent on referrals, word of mouth and weather for business, he may find himself in a position of having to lower prices and therefore, profits in order to get work when there are not many leads. 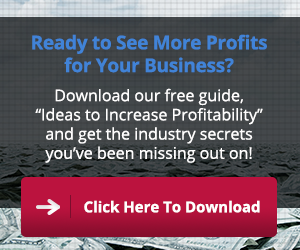 A better way to run a contracting business is to have a good lead generation plan. Leads are the life force of a contracting business. They create sales, create profits, create growth and give resistance to price cutting. A business will only grow to the strength of its lead sources. Having a solid plan for generating leads will help prevent the highs and lows of the contracting business, leading to a sense of security among all employees (and owners). A steady lead flow helps to anticipate where the business is going. It helps in planning manpower, equipment and material needs so that purchases can be made in advance to take advantage of savings in bulk purchasing, and avoids having to deal with last minute hiring and buying that can result in increased costs. A steady lead flow helps the contractor with cash flow for the operation of the business and allows him/her to attract quality personnel. 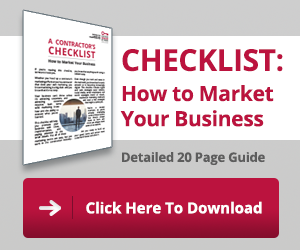 Contractors are finding that what worked before to generate leads isn’t always working now. Lead generation is one of the greatest challenges facing the success of the business. This boot camp will provide information that will help you generate leads in your contracting business. The information presented is PROVEN to work in contracting businesses and the presenters have proven to be successful with the material they are delivering. After attending this boot camp, the only thing that can get in the way of your company’s successful lead generation is lack of execution. You’ll leave with a lot of useful information, ideas and a plan for success ready for implementation. For more information on our next Lead Generation Boot Camp contact us here.